Doctors are among the most coveted clients. Even they get mistreated. I'm a physician living and working in Toronto. I recently met with my insurance adviser to transfer life insurance policies to my professional corporation (PC). He asked me to meet with an actuary to determine a fair market value in order to allow for their sale to the PC. I found your website through the Canadian Institute of Actuaries website. Would you be able to assist with this assessment and what cost would be involved for your time and opinion? I've never, never, never heard of a single time where a client was told to arrange an actuarial valuation of their insurance on their own. I even asked around. Experienced insurance advisors already know valuation actuaries. Novices can easily find you a pre-screened one with a quick email or phone call to the intermediary through which they sell insurance (called a Managing General Agent (MGA)). This is step 2 in the graphic from the Globe and Mail (click to read). If your doctor prescribed an MRI, you'd expect them to arrange the details, guide you through the process and follow-up. Advisors don't need much training to sell insurance. That's why solid support is readily available to them. How can you trust an advisor who takes a clear shortcut? There may be weaknesses with the insurance currently in place and the proposal to change ownership. Before going further, this doctor would do well to get his insurance needs evaluated by an advisor he trusts. 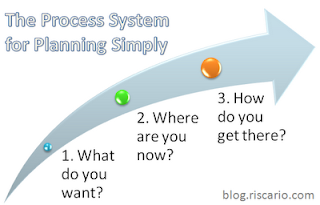 The Process System is a simple way. There are other models that achieve similar results with more steps. Insurers pay salespeople the bulk of their compensation the moment you buy. You've prepaid for after-sales service and are entitled to receive it. The advisor could have helped the doctor in mere minutes. How long does it take to make a phone call or send an email? Better still, the advisor could have taken care of the details to save the doctor's time. Why would an advisor provide such lousy service? No immediate compensation. How sad. Where are the customer service ratings for advisors? The Globe and Mail on Canada's insurance loophole: what else is wrong? Does your insurance company win when you cancel your coverage? PS In a future post, we'll look at the kind of post-sales service you deserve.